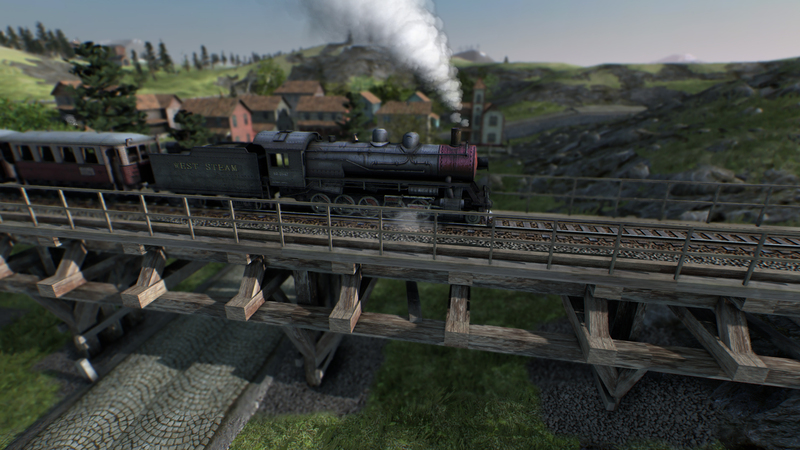 Mashinky is a brand new transport strategy game from Czech developer Jan Zeleny. Zooming through gorgeous landscapes, utilising a traditional isometric construction mode and mastering a unique board game-like gameplay, you'll find yourself immersed in the task of building your own transport empire. The goal is to create your own transport empire on a procedurally generated map. The game is a unique blend of realistic graphics combined with an isometric construction mode and boardgame-like rules. Players start the game in control of a transport company. They must lay tracks on difficult terrain, research and buy new vehicles, manage routes and compete against economic rules to make as much profit as possible by transporting passengers and various cargos. This makes for a challenging simulation game requiring the player to consider all elements of business to be successful. Players can switch to an isometric construction mode inspired by the very best strategy classics. This is a grid based map where every change of traffic layout is a rewarding puzzle. You can build simple tracks connecting just two stations, or design sophisticated networks using junctions and signals to maximize efficiency and performance. As the game progresses, you’ll need to extend and customize your transport empire. 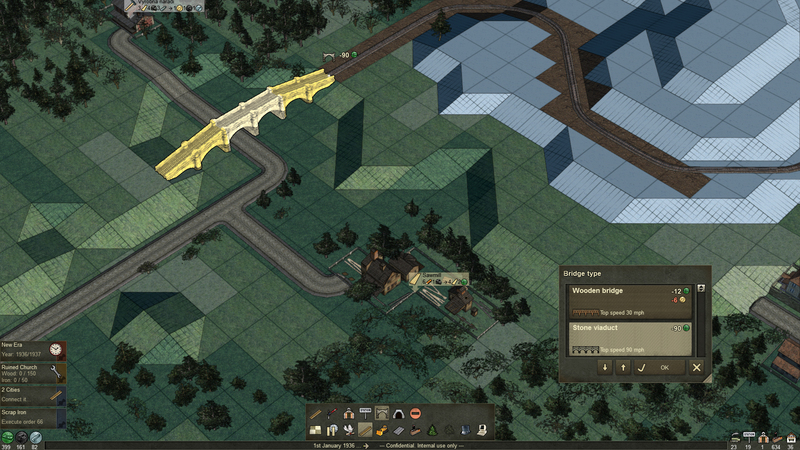 You can upgrade industry buildings, stations and depots in various ways, and improve your trains using new engines and special wagons. Each upgrade offers a unique bonus; greater capacity, new processing rules and even new cargo types. Players can develop their own strategy to suit best the network they’re building. With the innovative viewing modes, you can ride one of your trains or watch the operation of the network you have built. You can exit construction mode at any time to dive back into the beautiful landscapes and detailing of the 3D world. 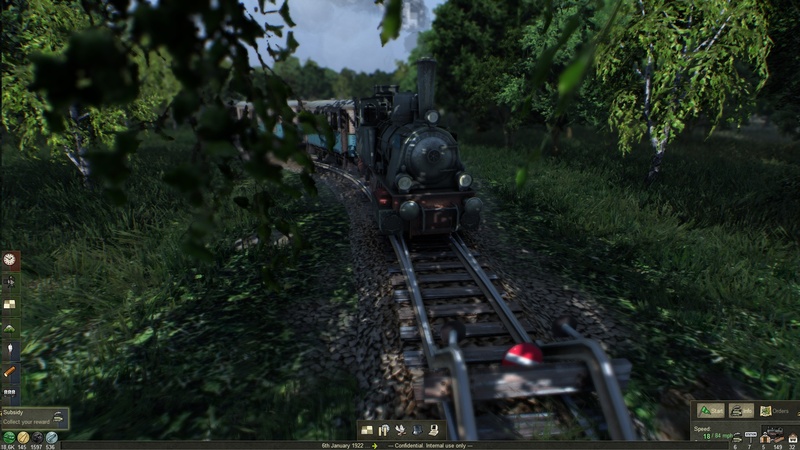 You can see your track network from a different perspective, or even jump into one of your train and enjoy the ride. This game has been updated 1-03-2019, 09:05 to the latest version Build 20190227. Nuke, Problems of this kind can arise because the game is at the stage of development. 2 new cargo types: Sand and Steel. New buildings: Sand quarry with 2 upgrades and Steelworks with 3 upgrades. New building recipes and Factory upgrade to process steel into tokens and goods. Oil refining process rebalancing including oil wells upgrade to make more oil tokens. 7+ new quests, 2 old quests improved and modified Era quest. We've also finished the brand new internal script director so it is possible to add more quests easier. Since we are in an advanced diesel age, there are new 4 fast diesel engines. Also we've added 4 new unique engines as a quest reward (reskinned old types, but one is really unique &amp; awesome). There is also one new rare quest wagon. There are new sand / steel wagons but there is also new iron wagon requested by the community. a look inside one or two buildings). Vehicle's (or building's) onboad cameras now have directions and better transition between cameras itself. Many script functions for possibility to make quests even more interesting and novelty (already used for 4th era quests). Rendering is now capable to cut holes into the ground for specific building parts (used for sand quarry). Many fixes including some pathfinding, autorouting, signals, quests, visuals, post office generating, kph/mph conversions, quest text alignment with buttons and icons. Splash window always starts on primary monitor and fixed prefered monitor index (for cases where removed or switched monitors). There are 3 areas I've improved performance (On screen news, bit arrays used for various AI and signals alghoritms and computation of train wheels position). Improved shaders, sea reflections, fixes and more.